Millions of fans across the world are looking forward to watching following both the VELUX EHF Champions League and the EHF Women’s Champions League right up until the culmination of the competitions in May 2012. Europe’s premier club handball competitions will be beamed around the world by the TV partners of EHF Marketing GmbH, daughter-company and marketing arm of the European Handball Federation, and rights holder of the men’s and women’s EHF Champions League competitions. 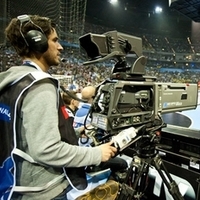 Handball fans following Europe’s premier club handball competitions on the EHF’s official online TV platform, ehfTV.com, will continue to be able to watch a selection of the top matches of each round live and all matches on-demand shortly after the final whistle. The distinctive voice of ehfTV.com’s Tom Ó Brannagáin will be back this season as “Match of the Week” – a selected highlight with live commentary in English – returns for a second season. Tom will be travelling to a new venue each week throughout the season to bring English speaking fans live commentary in his distinctive, high energy style. The majority of the ”Match of the Week” games will be produced in HD and with additional cameras. EHF Marketing GmbH will also continue to offer the weekly TV magazine programme, “Rewind – The Handball Show”, to its partners and also on ehfTV.com in English. The magazine show features highlights of the top games each week as well as features and interviews from the participating clubs. EHF Marketing has signed a new deal with a former partner on the Austrian market. Public broadcaster, ORF, has signed a three-year agreement. This year will see the games of Austria-based team, Hypo Niederösterreich broadcast as well as a selection of magazine programmes from the VELUX EHF Champions League and the games from the season highlight, the VELUX EHF FINAL4, on their sports channel. A new deal has been signed in FYR Macedonia with Sitel TV. The broadcast agreement will see all matches of the local team, HC Metalurg in Group C of the VELUX EHF Champions League, broadcast on the channel, as well as the magazine and coverage of the VELUX EHF FINAL4. The biggest commercial network in Norway has reacquired the rights to show both the men’s and women’s competitions. This new three-year contract will see the games of all Norwegian teams, including Byasen and Larvik HK in the women’s competition. The deal also includes the VELUX EHF Champions League magazine show and the VELUX EHF FINAL4 and women’s finals. Matches will be shown on TV2 Sporten, TV2 Zebra as well as TV2. SportTV has signed the first long-term agreement on the Portuguese market. The three-year deal will see one game per round broadcast live and exclusive from the VELUX EHF Champions League on one of their three channels. SportTV will also show the magazine show from the men's competition. The biggest Pay-TV network in Russia, NTV Plus, is to show all the games of the Russian teams live in the coming season, including Chekhovskie Medvedi and St. Petersburg HC in the men’s competition and Dinamo Volgograd in the women’s competition. As well as the VELUX EHF Champions League magazine show, the channel will broadcast the VELUX EHF FINAL4 live and further matches from the men’s competition on NTV Plus Sport and other sports channels. On the Spanish market, EHF Marketing GmbH has signed a number of extensions to existing contracts, which will continue to see top-class handball broadcast. Three-year agreements have been reached with Esports3 (TVC) and Teledeporte (TVE). A one-year deal has also been agreed with RTVCYL. Turkish station, SportsTV, has signed the first long-term TV contract for this territory. The agreement for the next three years will see at least one match from both men’s and women’s competitions shown as well as VELUX EHF FINAL4 games and the women’s finals. The channel is available to 75% of the TV market in Turkey thanks to the launch of the channel recently on the Turksat 3a satellite, which has added access to a further 60% of television viewers in this region.